Meet the Reception pirate crew!! The children have made an amazing effort to come to school dressed as the best pirate crew that Stibbard has ever seen!! 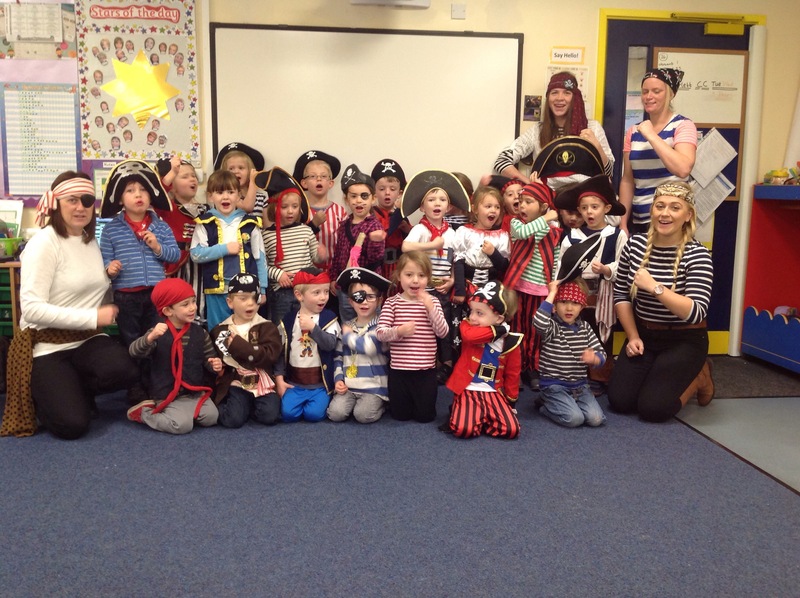 We have had the busiest morning consisting of pirate songs, treasure hunts, making eye patches and pirate hats and generally being awesome, dirty pirates!! This afternoon will be filled with pirate PE and songs. Previous Post Pirates at Stibbard! Next Post Shiver me timbers!